The Lumia Storyteller app for Windows Phone has received a minor update overnight, bringing expanded stories in your timeline among other small updates. The new build, version 4.1.0.19 for those keeping score at home, builds on the major 4.0 update that came out in December and is more-or-less a tweaking of some of the features that that releases brought to the exclusively Lumia only app. The release notes in this update to the Lumia Storyteller app are brief and point to two noted changes. First is the expanded stories in your timeline which gives you more story content with your created stories within the app. Secondly is the ability to change the order of your story when you upload it for sharing. The second feature is actually very handy for those who share their Storyteller creations with friends and family (or publically). There is no mention of any other new features nor any bug or enhancements and in looking at the Lumia Storyteller app this morning before writing this point, the app looks and feels fundamentally the same outside of the expanded stories enhancement. 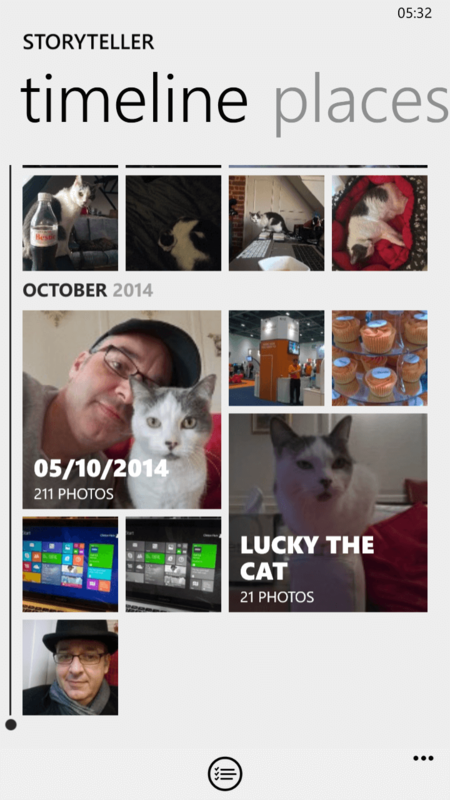 If you not tried the Lumia Storyteller app, give it a try. It is a great photo app that groups photos together on your Lumia device to create a story. You can edit these stories and share them and it is a much more interesting way to view your photos than just on in Camera Roll. The Lumia Storyteller app is a free app and is for Lumia devices only from Nokia/Microsoft. It is a free app.